Researchers found that higher exposure to black carbon – an indicator of vehicle pollution – after one year was associated with lower HDL cholesterol levels, and it is this which could increase the risk of cardiovascular events. 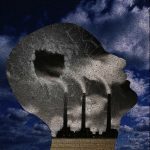 “This is an interesting study […] the effects are small and recent studies have questioned whether lower levels of HDL-cholesterol causes heart disease,” adding however, that air pollution is associated with a wide range of detrimental effects in the body, including increased blood pressure. Ultimately, the real solution would be to tackle air pollution in order to reduce or eliminate these health risks in the first place. Association of air pollution exposures with high density lipoprotein cholesterol and particle number. The multi-ethnic study of atherosclerosis. Bell G, Mara S, Greenland S, et al., Arteriosclerosis, Thrombosis and Vascular Biology, April 2017.